This week's PopMatters post is about a topic both Nintendo and I don't want to think about: Shigeru Miyamoto's retirement. I try not to get too involved in Internet kerfluffles, but last week's mini-panic about Miyamoto's possible retirement caught my eye. For one thing, it was interesting to see Nintendo's immediate response to people's reactions. Change is scary, and Nintendo knows it: the company was quick to reassure people that nothing was changing, that no one would ever abandon them, and that all was well in Neverland. It's unusual for companies to make such honest requests as "Please do not be concerned," but such public exhortations become more understandable when you consider that Nintendo's stock was actually affected by what was basically a joke Miyamoto made during his recent interview with Chris Kohler. It's only natural to worry about the future of storied franchises like Mario and Zelda when you hear that their creator is stepping down, but things become less worrisome when you look at the bigger picture. For over a decade now, Miyamoto has been more of a consultant than anything else. Judging by his comments in the interview, Miyamoto appreciates the importance of this position, and is looking to both cede authority and mentor up and coming developers. To hear Miyamoto talk about retirement is to listen to a man who sees an opportunity rather than an ending. He mentions that he would like to be more involved in the design process, make smaller games, and work with young developers. Sometimes, life is poetically cyclical: Miyamoto got his start in the arcades and gradually transitioned to big-budget console games. Now, as his exit from that scene approaches, arcade-style games have experienced a resurgence thanks to the downloadable and mobile spaces. The medium has never been more accommodating of small and experimental projects. We may never get another Ocarina of Time from Miyamoto, but based on his comments, it seems safe to assume that he isn't planning on simply walking away from video games. His interest in pursuing smaller, more personal games and his dedication to mentoring the next generation of developers means that the medium will continue to benefit from his experience and creativity for years to come. Miyamoto's willingness to pursue unorthodox ideas was what made his games great. It seems fitting that his version of "retirement" holds the potential to carry on this innovative spirit. 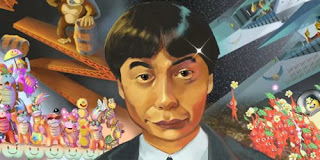 Miyamoto defined his generation of game designers in the 1980s and 1990s. Is it any surprise that he is trying to blaze a trail towards a new stage in life as he and his cohort approach retirement? Thinking about Miyamoto eventually retiring makes me really examine how lucky our generation is to be alive when Miyamoto was actively creating games (and alive). That sounds strange (and morbid), but I just mean that we are quite fortunate to be around at this point in gaming history. Imagine, in 50 years people learning about games will be learning about Miyamoto the same way that people like me learned about JFK or MLK Jr. History takes on new meaning when you feel like you are actively witnessing it being made. Totally agreed. I'm just glad that I clued in to how lucky I am before it was too late. It's kind of like someone from our generation learning about Cecil DeMille. I've found myself thinking about the topics of game preservation and game history more and more, especially because we are reaching the point where we are going to see a massive wave of retiring designers.